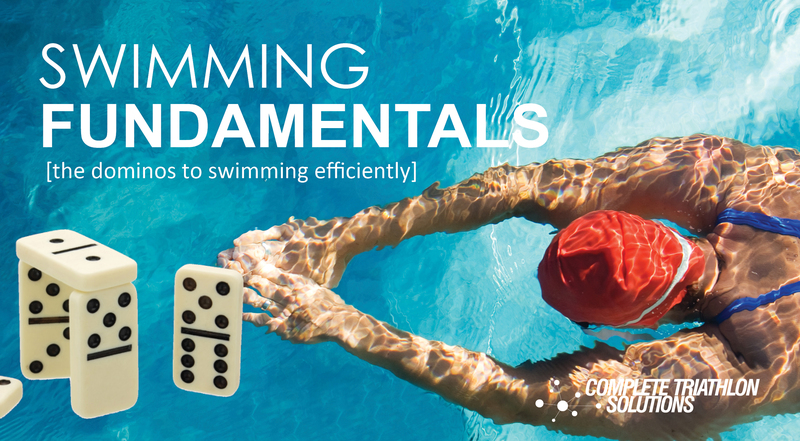 Welcome to the Swimming Fundamentals virtual class with Coach Robb! Whether you are new to swimming, looking to clean up your swim stroke, or training for your next triathlon at any distance, this workshop is for you. You may have had swim instruction before, but we can guarantee that you have never had someone like Coach Robb methodically break down the mechanics of swimming so that it is easy to understand and implement. During this four-hour class, Coach Robb drills down on the physiology and body mechanics associated with swimming and what he refers to as the dominos to swimming efficiently. He provides the science behind and solutions for many common swimming frustrations such as running out of breath, sinking legs, and the inability to swim for a long period of time before getting tired. Examples of right and wrong swim techniques are included through additional video content, as well as sessions on why functional strength and flexibility play an important role in swimming efficiently, and breaking down the mystery of nutrition to properly fuel your swim workouts. As an added bonus, Coach Robb answers questions from the audience and online listeners including how do I train with swim paddles? how do I warm up when the organizers won’t let us swim before the race? and, how do I avoid getting kicked and beat up at the swim start?… to mention a few. Before you get in the pool, take Coach Robb’s Swimming Fundamentals class so that each of your workouts has a focus and purpose. Coach Robb’s mantra – practice doesn’t make perfect, perfect practice makes perfect.